The so-called liberal media is out of control! The recent attacks on a man named David Wright are the proof in the pudding. He’s the “leader” of an anti-Muslim outfit that calls itself the Bureau of American Islamic Relations. 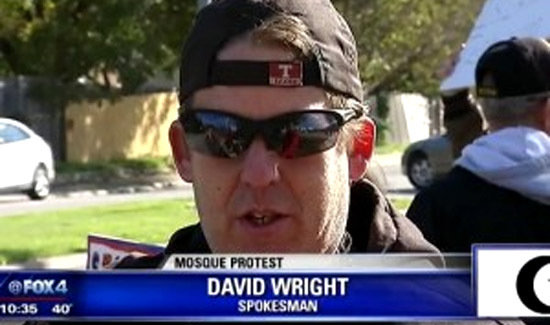 Wright recently went on Facebook and posted the names and addresses of Muslims in Irving, Texas. Naturally, in the current climate of bi-weekly mass shootings, many of them political, Wright’s attempt at his five minutes of fame won him some media attention. But now his feelings are hurt. “I am being attacked and smeared by the liberal media for legally exercising my 1st and 2nd Amendment rights and for using public data to defend my credibility when they make accusations against me,” Wright wrote on Facebook. Wright said the list of names and addresses is not a hit list. “You know as well as I do if it was my intention to use this as a hit list then it would have already happened,” he added in a comment on the post. This is a common phenomenon with people who get internet famous and then have a change of heart when reporters start calling. Even those horrible liberals at FOX News harassed this poor man, who wanted nothing more than lots of attention. Maybe Team Trump should look at this Wright guy for VP or Secretary of DHS.